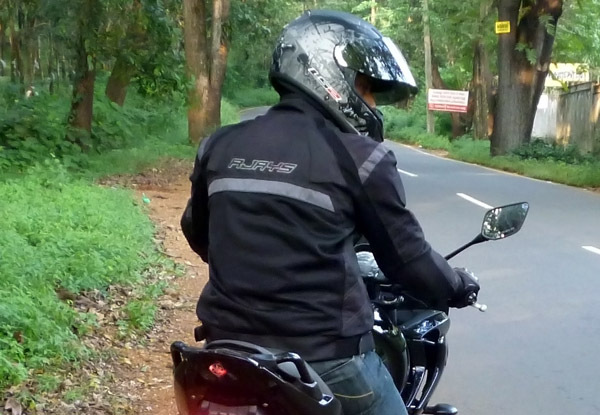 So now let’s get into an extensive review of Rjays Swift mesh riding jacket, after using it more than 10,000kms. Now the Rjays swift, has Removable Protector EN1621-1 approved elbow and shoulder armours and a high-density back foam pad. This is not much but enough to cover vital areas. One thing is really missing though, there’s nothing protecting the kidney, not even a simple foam pad. The jacket is constructed with super protective heavy duty 500 denier ballistic nylon which offers good abrasion resistance.